We have tried to make the information on this website as accurate as possible, but it is provided ‘as is’ and we accept no responsibility for any loss, injury or inconvenience sustained by anyone resulting from this information. You should verify critical information, like visas, health and safety, customs and transportation, with the relevant authorities before you travel. Browsers agree, that trademarks, copyrights, and other software data property of the Nat.is website are irrefutably licensed to and owned by Nordic Adventure Travel Ltd. It may not be reproduced, transferred, modified or sold without the written consent of Nordic Adventure Travel Ltd. Browsers may not reproduce, publish, transfer, sell, copy or duplicate any information or software product or services obtained from the Nat.is website without the prior written consent of Nordic Adventure Travel Ltd.
No devices, software or routine, inhibiting or interfering with the running of the Nat.is website is totally prohibited. Actions creating extra and unreasonable load on said Website and/or its infrastructure are prohibited. Nordic Adventure Travel Ltd does not guarantee continuous, uninterrupted or secure access to its Nat.is website, as its operation may be interfered with by factors outside its operator’s control. Nordic Adventure Travel Ltd reserves the right to amend these terms and conditions at any time. 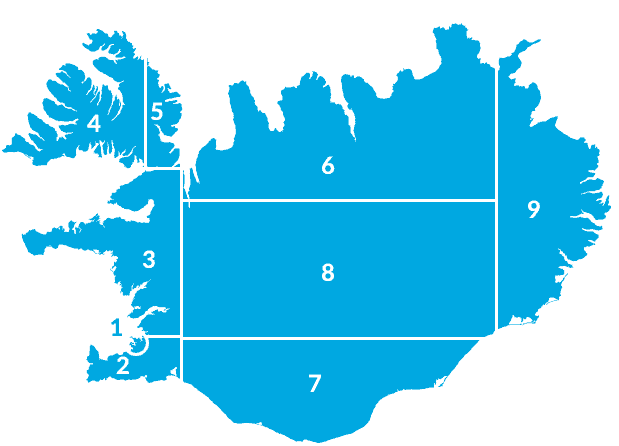 These terms and conditions are subject to Icelandic law and to the exclusive jurisdiction of the courts of Iceland. This document contains the terms and condition of using the idegaWeb Search and Booking Engine. They apply to buyers and suppliers of the various services offered. Confirming an order on the idega Web Supply and Booking Engine is also regarded as acceptance of these terms and conditions. If you have any questions about them, please e-mail us at nat@nat.is or idega@idega.is. The information entered by the buyer (client) and referred to in the Privacy Statement, can only be used by the supplier or the idega Web Search and Booking Engine Operator if it becomes necessary to contact the buyer (client). Both parties, the buyer (client) and the supplier, undergo a legally binding contract of purchase of – and supply of available and selected services on offer, and the conditions of the respective credit/debit card companies of the two parties. Immediately after the buyer (client) has successfully confirmed the purchase, he/she should print a voucher with the details of the booking and ensure the correctness of the information. In case of entry mistakes made by the buyer (client), he/she should contact the supplier directly or nat@nat.is or idega@idega.is. The voucher must be handed over to the supplier as proof of payment and booking at the prearranged date. The booking form depicts the price of the selected services, and exactly that amount will be debited to the buyer’s (client’s) account when the order is confirmed. Rates, prices and services offered are totally in the hands of the suppliers through their access to the seardh engine, and therefore not the responsibility of the idega Web Search and Booking Engine. Should the supplier not be able to render the booked services, he/she will find an alternative of the same or higher standard, or refund fully if preferred. The supplier will also do his/her utmost to contact the buyer (client) prior to his/her departure to inform him/her of such unforeseeable changes. The buyer (client) agrees, that this may not always be possible. In such cases, the supplier will do his/her utmost to find a satisfactory solution prior to the buyer’s (client’s) arrival. Cancellations or alterations are in accordance with the terms and conditions of each individual supplier. The quality or star ratings of services on offer may vary between countries because no international standardized constants exist. Suppliers endeavor to keep the content of the website accurate. The buyer (client) agrees, that the availability of services listed is under the direct control of the suppliers. Complaints regarding the services should be brought to the attention of the suppliers during the buyer’s (client’s) stay and the respective management must be given the opportunity to rectify the situation from the outset. Should such complaints not be rectified by the suppliers, the buyer (client) should contact The Icelandic Tourist Board (info@icetourist.is) immediately. 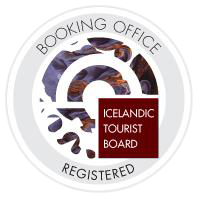 Terms, representations, conditions, warranties, etc (implied or otherwise) relating to the idegaWeb Search and Booking Engine and any other connected services to the extent permitted by applicable law and the Icelandic courts are hereby excluded. The idega Web Search and Booking Engine shall under no conditions be liable for any special or consequential losses or damages, however they may arise, including, and not limited to these terms and conditions or otherwise, or for loss of data, profit, business or revenue, however they may be caused, even if losses or damages were foreseeable to its operators, or if the possibility was brought to their attention. The idega Web Search and Booking Engine has no liability to the buyer (client) or any third parties. Buyers (clients) cannot delegate, convey, sub-contract or assign any obligations, rights or duties hereunder without the written consent of Idega Software Ltd or Nordic Adventure Travel Ltd. The buyer (client) agrees, that trademarks, copyrights, and other software data property of this idega Web Search and Booking Engine are irrefutably licensed to and owned by Nordic Adventure Travel Ltd and Idega Software Ltd. It may not be reproduced, transferred, modified or sold without the written consent of Nordic Adventure Travel Ltd and Idega Software Ltd. The buyer (client) may not reproduce, publish, transfer, sell, dublicate, copy or duplicate any information or software product or services obtained from the idegaWeb Search and Booking Engine without the prior written consent of Nordic Adventure Travel Ltd and Idega Software Ltd. The buyer (client) also agrees, that he/she may not use any of these software property rights, except to the extent to make a booking in the manner prescribed by these terms and conditions. No devices, software or routine, inhibiting or interfering with the running of the idegaWeb Search and Booking Engine or bookings concluded with it, is totally prohibited. Actions creating extra and unreasonable load on the said Engine and/or its infrastructure are prohibited. Nordic Adventure Travel Ltd and Idega Software Ltd do not guarantee continuous, uninterrupted or secure access to the idegaWeb Search and Booking Engine services, as its operation may be interfered with by factors outside its operators’ control. Nordic Adventure Travel Ltd and Idega Software Ltd reserve the right to amend these terms and conditions at any time. These terms and conditions are subject to Icelandic law and to the exclusive jurisdiction of the courts of Iceland. Nordic Adventure Travel Ltd and Idega Software Ltd, Eng, are the designers of the idegaWeb Search and Booking Engine, and their sole tasks are its advancement and maintenance. Suppliers and clients are directly connected. Feedback and comments: nat@nat.is © FH2003 and idega@idega.is. All Rights Reserved. The use of this Search and Booking Engine is subject to the Terms and Conditions above and the Privacy Statement.